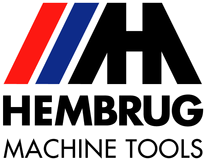 We will participate at the AMB Stuttgart and IMTS Chicago in September this year. At the AMB we will demonstrate the newly designed Twin Spindle and at the IMTS Chicago the Mikroturn Baseline. During these shows we will demonstrate the advantages of the hard turning process on the basis of some interesting applications. We look forward meeting you there!